Polymers were integral to many of the technological advances made in the 20th century, and developing improved polymers will be necessary as we continue to advance in the 21st century. As part of the North Dakota Center for Sustainable Materials Science (CSMS) our group is working on understanding the chemical mechanisms of polymerization. 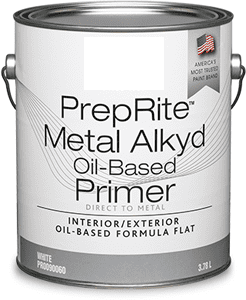 One major area of polymer synthesis that is not well understood is the “drying” of alkyd resins, the primary resin in oil-based paints. A major component of the “drying” of alkyds involves the oxidation of alkene moieties to form crosslinks between different alkyd molecules. This results in the formation of long aliphatic polymers linked through carbon-carbon and carbon-oxygen bonds. The oxidizing agent in these reaction is oxygen gas, which is a kinetically slow oxidant under normal conditions. For this reason transition metal complexes are added to the paint solution as “driers”. These driers are transition metal complexes that facilitate the one electron reduction of oxygen to generate radical species, which then initiate radical polymerization reactions. Despite the importance of driers to the use of alkyd resins, relatively little is known about the mechanisms by which they interact with oxygen to initiate polymerization. Our group is working to characterize these interactions using commercial driers, and develop insight into the factors that are important for a transition metal complex to serve as an efficient and thorough drier. By working with the CSMS team, we will use these insights to design improved driers for autoxidative polymerizations.